The Moto 360 features a sophisticated design, with a round face that makes it look more like a high-end wristwatch than a smartwatch. The inductive charging cradle can sit on a nightstand and turn the Moto 360 into a usable alarm clock, even while it's charging. 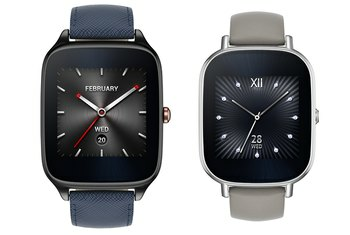 The smartwatch can be customized with a variety of watch faces and different bands, including leather and metal options. The battery life is poor, not even lasting a full day when used heavily in some tests. The round display is marred by a black bar across the bottom, which houses some necessary sensors, but detracts from the overall look. 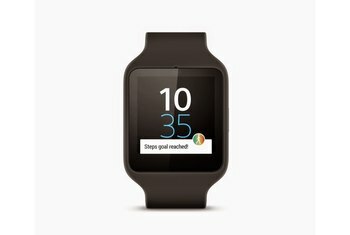 The processor is an older model, and the watch's performance lags at times. 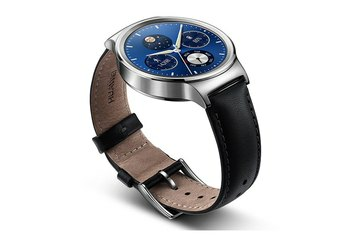 The problem with many smartwatches is that they end up looking like--well--smartwatches. 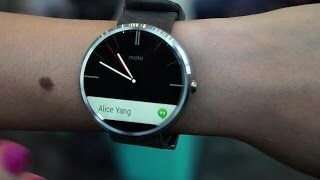 Not Motorola’s Moto 360. 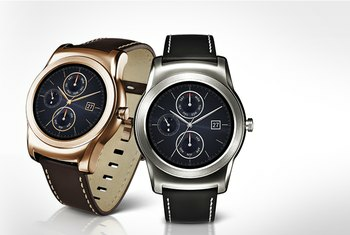 With its round face and leather and metal bands, this looks like a high-end wristwatch. 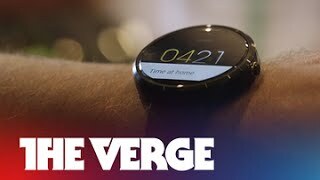 On the inside, though, it features the Android Wear software that allows it to connect to and display notifications from your Android smartphone. It displays messages and information on appointments, weather, traffic, and more, and includes speech-recognition technology so you can speak directly to your watch. 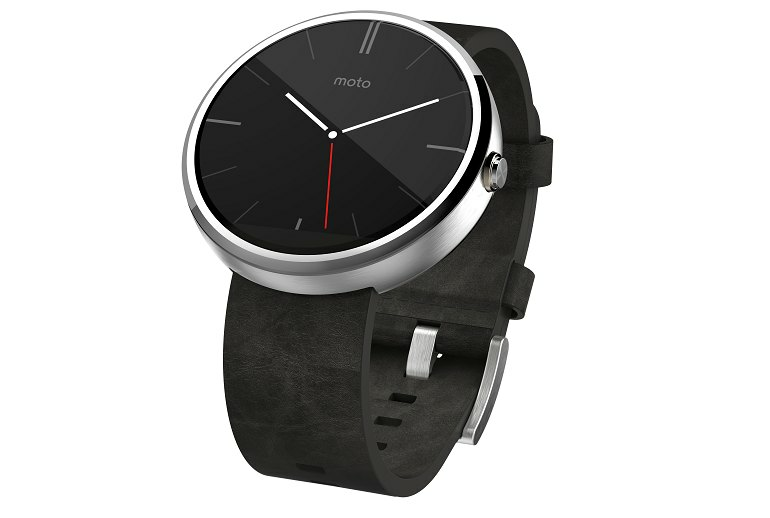 The Moto 360 also includes fitness tracking features and a heart rate monitor. The one and only thing that really bugs me is the so-called "flat tire" design, referring to the black strip at the bottom of the watch face. It ruins a lot of potentially good custom watch face designs and is generally just hard to look past if you have any OCD tendencies. There’s an understated elegance to this device. It’s utterly without flash or flair, but it’s classy as can be. Its leather strap, made by Chicago tannery Horween, is high-end and comfortable — and not just compared to the plasticky, rubber straps on other smartwatches. Moto 360 further draws circles around its competition with an ambient light sensor that automatically adjusts the LCD brightness. It's especially convenient when you need a bright screen in sunny conditions or want to reduce battery life consumption in dark environments without having to manually adjust the setting. Motorola made a conscious decision to make the 360 more watch than gadget; more mainstream than early adopter; more SoHo than Silicon Valley. 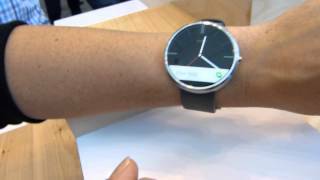 One thing the Moto 360 has that it rivals doesn’t is wireless charging support. The small wireless charging dock works with a standard micro USB cable and you can sit the watch either way round to power it back up. For as good as the Moto 360 is at listening, it — thankfully — never talks back. Instead, everything appears on the sharp 320 x 290 screen. It will try to fit your whole answer or message on screen or truncate it and let you tap and then scroll on the screen for more detail. The sad news is that, while the company mostly nailed the exterior design, Motorola totally dropped the ball when it comes to the internal components. Somehow, it managed to dig up a batch of crusty old OMAP 3 SoCs for its flagship watch. The 2010-era processor is old, slow, inefficient, and power hungry. My favorite feature of the Moto 360 was dictation. Talking into your watch while leaving your phone in your pocket or bag is a freeing experience. It also just looks cool. 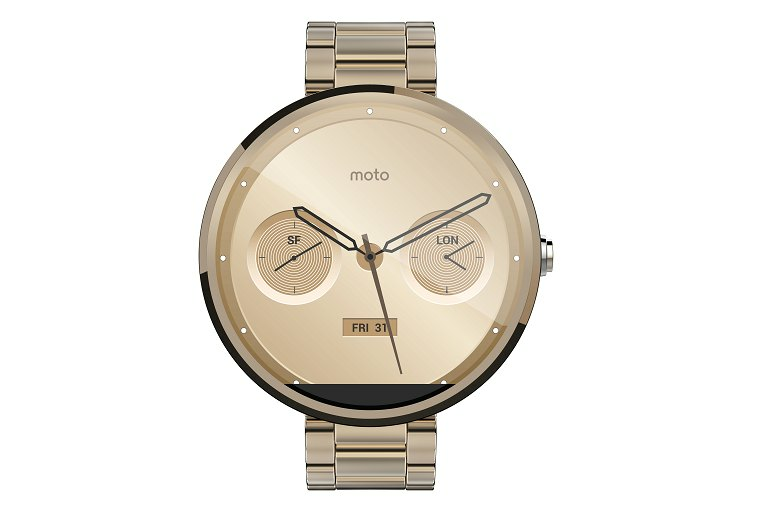 The Moto 360 still has a long way to go before I’ll be ready to cough up $250 for it. The battery life needs to be a lot better, and Android Wear still encounters its fair share of bugs. And the problem for women like me, with thin wrists, is that the watch may sound small—1.8 inches in diameter and just a half-inch thick—but it almost looks like I grabbed a clock off the wall and strapped it to my arm. Watch design is hugely subjective (do you know two people who own the same watch?) which makes it difficult to make categorical statements, but for me the Moto 360 is the best looking smartwatch to date. When this watch was first released, it was easily the most well-designed smartwatch. It pioneered the round LCD design that so many watches use today, with solid performance all around. As we get into late 2015, you may want to spend a bit more money and go for one of the newer models. However, if you are on a budget, this watch is still a great choice.